No time to deep clean your entire home? Then let’s at least clean up the dirtiest places in the house quickly and efficiently! We’ve listed them below along with some cleaning tips so that you’ll be able to easily get rid of bacteria in the grimiest parts of your home. You dump just about everything into your kitchen sink, including raw meat and fish and what’s left of your meals. This means that your sink is full of live bacteria. Scrub your sink with baking soda, then either fill it up with warm water and several tablespoons of white vinegar or soak paper towels in vinegar and let them sit in your sink for approximately 15 minutes for further sanitation. The screen at the tip of your faucet is called the aerator, and it’s full of bacteria and lime buildup. Every few months, remove it and soak it in white vinegar. Your cutting board needs to be handled carefully since you’ll be putting food on it. Soap can damage a wooden cutting board; using white vinegar will be more gentle. Make a paste with baking soda and water, add salt, and scrub your cutting board to really get at the grime. When your kitchen sponge is giving off an odor, that means that it’s a hot spot for bacteria. Microwave a wet sponge for a minute and thirty seconds to kill germs and be sure to replace it often. 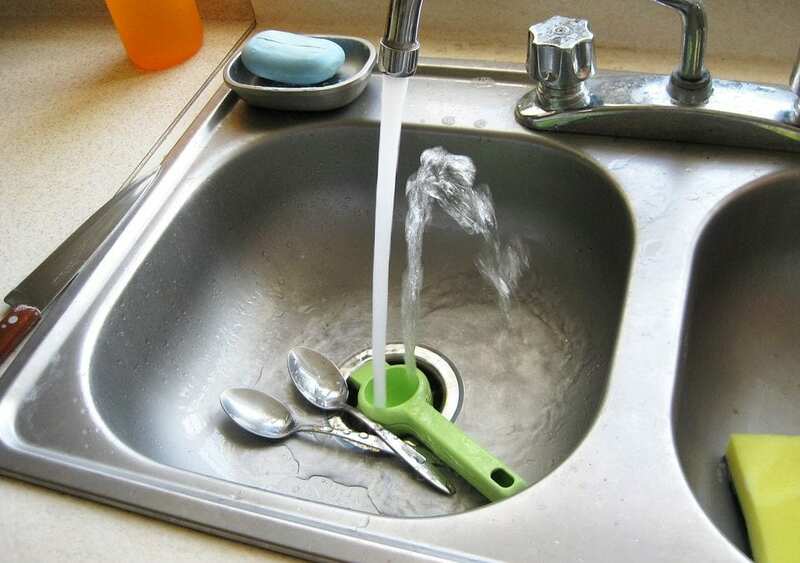 You can also throw the sponge in your dishwasher each time you run a load of dishes. That post-brushing rinse with water isn’t enough to rid your toothbrush of bacteria. Throw your toothbrush in the next time you run your dishwasher, or use a UV cleaner on it for at least 10 minutes. Germs can live happily on your refrigerator door handles for two days or more. Don’t use bleach or other harsh chemical cleaners in this area since they could come into contact with your food. Instead, use a tiny amount of dishwashing liquid and a wet microfiber cloth for cleaning. It’s not that hard to get rid of mold on your shower curtain. Spray plastic liners with a 1:1 solution of white vinegar and water, and once a month, throw fabric shower curtains into your washing machine. Flushing with the toilet lid open leads to contamination of all nearby surfaces. Use an all-purpose spray or hydrogen peroxide to take care of the issue. Walls throughout your home collect bacteria and dust over time. Use a soft cloth to get rid of the dust, then wipe off the dirt using an all-purpose cleaner. Remember not to forget the molding, including your baseboards! Your light switches are covered in germs and are some of the least clean spots in your house. Use an all-purpose cleaner or a 1:1 solution of vinegar and water and a cloth to wipe down the face plates and switches. The remote controls get passed back and forth and are often used by family members who are snacking. Dampen cotton swabs with rubbing alcohol so that you can carefully kill the germs without causing damage to the buttons. Cleaning the dirtiest places in the house regularly prevents bacteria and germs from spreading all over your home, and can also help to keep everyone in the family healthy. If time constraints mean you have to choose where to clean first, it’s best to focus on the dirtiest places in the house. Home Guard Inspections LLC offers home inspection and testing services to the Bismarck-Mandan area including Maintenance Period Inspections for those who have been living in their house for over a year and want to make sure they are getting the most out of their home, maintaining it properly, and addressing any issues that could become costly problems over time. To schedule an appointment, call or text (701) 200-7811 or use our online scheduling tool.